Hello, my name is Marcus and I live in North Fort Worth. I am 42 years old and have spent the last 18 years in the US Navy. I grew up hunting wild pheasants in Northern California, back when you could find birds there. Always had springers as a kid, the were just never trained beyond what they did naturally. I now have a 15 month old FBECS and she is fantastic. While I am certainly a novice trainer and probably the dogs biggest limitation, her desire and instincts continue to amaze me. Have had some great assistance from a local Spaniel club and look forward to continuing to learn and working to develop my dog. Thank you for including me in this group. My name is Vince and I am from Alvinston Ontario Canada and currently the Property Manager for a mid size municipality. I am in my eary 50's and have been hunting on and off for the last 40 plus years. I have been happily married for 30 years and have three grown children . I have had a variety of working dogs over the years that included, Labs, Irish Setter and 21 working Siberian Huskies that i trained for recreational sledding and later to compete in dog sled racing. 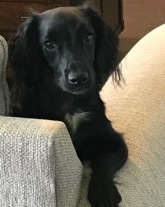 Most recently have switched over to UK working Labrador Retrievers(breeding), English Springer Spaniel and a new addition in the spring of 2019 a UK working English Cocker Spaniel. I do not compete in field trials but I train as if I do because of my competative nature. I am always looking for new training methods or improving on past methods and focus on building a strong bond with my working dogs. My hunting companions are family members first and live in our home. I enjoy pheasant hunting, rabbit, grouse, duck, goose, pigeon and turkey hunting. WElcome Vince! Nice to have another Canadian here. Thanks Sharon ! Nice to be talking to you again. I am 65 years old and will purchase a French Brittany pup in June, 2019. Back in the early 1970's I had an English Pointer that I later sold to be a field trial dog. Then I purchased a GSP named 'Shot' that I really, really enjoyed. I trained Shot myself on wild pheasants in Central Illinois. Shot was very steady to point, but paid no attention to a downed bird. I want to train my own French Brittany on wild birds and teach her to retrieve. I want to hunt, Sharptail, Ruff Grouse and pheasants. I am a soybean breeder in North Dakota. I am married and have 3 step-sons and 3 grandsons. I have learned a lot from this forum and purchased 'Perfect Start' DVD as well as a Jeremy Moore video on obedience training for a puppy. Hello GDF! New member here. Long time big game hunter who did some upland game hunting decades ago, but now I am getting back into birds. I'm looking to getting into hunting Chukar and grouse, which are the most common birds in my area. I might do some waterfowl hunting later on. How old are you?? Late 30's... I feel old answering this. What do you do for a living?? At the moment I'm in the military hanging out in Afghanistan. I will eventually be back home being a self employed engineer. What kind of hunting do you do?? Right now only elk, but trying to get into Chukar and grouse. What kind of dog(s) do you have?? None right now, but I will likely be purchasing a German Shorthair Pointer. How long have you had dogs?? I grew up with Brittanies and doing field trials, however I absolutely will NOT be doing that at first. You into any field trials, show, competition or anything like this?? NO! 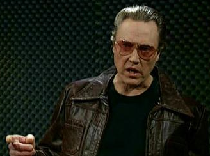 I've got a fever, and the only prescription, is more hunting. Gotta have more hunting. Hi, Mike Zombek from Ohio. 57 years of age, work at a pharmaceutical plant as a maint tech. I bow and gun hunt for deer for 37 years. My wife of 31 years had to put her 12 year old English setter down due to kidney failure. She needed another dog take care of so she found a lewellyn/English setter. We did not hunt her first dog but we would like to try the field trials with her new dog. I'll have a bunch of questions for you lady's and gents. Thanks for having me on this forum. 47 year old Millwright from Michigan here. Married with four kids. Love to hunt and fish anything in season. Had two springers that both passed last year. Just brought home a French Britt pup. Transitioning from flushers to a pointer should be interesting. lol This will be the first time doing the training myself. Wish me luck! 2fieldspringers, welcome to the forum! I like, made a leap from springers to a Pointer (although I have both!). Hopefully this forum is as helpful to you as it was to me! Tell us a little about you so we can get a perspective on who we are talking to. How old are you?? Male or Female?? What do you do for a living?? How long you been hunting/shooting?? What kind of hunting do you do?? What kind of dog(s) do you have?? How long have you had dogs?? You into any field trials, show, competition or anything like this?? Maybe I posted this info in wrong place? I'm Pat(rick) and I live in NW Ontario, Canada. I'm a disabled American veteran and retired from US National Park Service. Have lived here (mostly) since 1989 but originally I'm from Montana and return there frequently to hunt and fish. I have been shooting birds and raising hunting dogs since age 12 ... fifty-four years ago this fall. Mostly Labs since then but one French Brittany. She and two black Labs live with me now. Not into shows or trials. I don't care much for crowds. In fact, I almost always hunt alone. Stick almost entirely to publicly accessible land (fed or state or "Block Management" ranches in Montana). Wild game belongs to everyone. I don't need to clean birds so badly that I have to keep someone else from what they rightfully own. Im in Alabama. Early 50s getting back into fooling with bird dogs after taking a break to get two children through school and sports etc. Then went through some health issues and throuh all that I kept promising myself if I can get back on my feet Im getting another puppy. So for Christmas my wife got me a beautiful english setter puppy out of Tricky "bleep" kennels in Selmer, TN. I knew mr moore from my prior bird dog days and nstra trials. Tricky Dicks Bama Nick "nick" is 5 mo old and really doing well. I have entered him in the puppy stakes in April at the nbha trial in Alabama. I realize hes young but he hunts hard runs well and Id like to get him involved early and bring him along slowly as we go. I live in north west Alabama. We have several acres and a pretty good set up for training. Pigeon loft, johnny house, training table barrels whoa post , remote launcher, e collar etc. Would enjoy meeting others in my area that might not have the space or tools to train. Im glad to share my space tools knowledge and experience with others. Hello forum members. I am a novice hunter. My name is Jayden. I will be glad to new acquaintances and experience. Glad to have you on board Jayden. Let us know how we can help. It would help to know where you are from. Hey everyone, my name is Derek and I'm from Virginia. Here's a pic of my girl at 8 months. My name is Torrey Krause from NW Iowa owner of Stony Kennels my wife and I breed English Pointers. We have a internet sight Stony Kennels and you can also find us on FB. 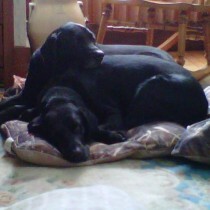 My name is Peter T. from Western New York area and a huge fan of bird dogs as is also my brother. He just recently opened a dog kennel and I live next door (currently laid off). I promised to give him a hand and try to learn as much as I could so that I can help he launch a successful small biz.